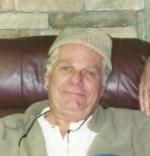 Robert P. Gray age 73 of West Salem, passed away Monday January 17,2011 at Grant Medical Center. Born on September 13, 1937 in Cleveland the son of George Stone Gray and Mary (Olskie) Gray he had been a resident of Ashland County for 35 years. Mr. Gray is survived by his wife Olga M. (Sewolich) Gray. Also surviving are eight children, Robert P. (Joanne) Gray of North Ridgeville, Richard P. (Sherry) Gray of Cleveland, Robin M. Gray of Medina, Ryan P. (Melinda) Gray of Lorain, Renee M. (Kevin) Cline of Columbus, Rhonda M. (Steve) Mowry of Ashland, Ronald P. (Staci) Gray of Ashland and Rod M. Gray of West Salem. Mr. Gray attended the Little Flock Fellowship Church and his defining moment was his love for Jesus Christ and new found knowledge of God's word.